Winning the Gold in the Music Olympics requires DESIRE and DISCIPLINE. Are you ready to let the Games Begin? One thing we know for sure - any goal you set requires that you must have patience and engage in CONSISTENT action. Musicians, to succeed at the Music Olympics, we also need the third and perhaps the most powerful word of all - DETERMINATION. In the Olympics and in the Music Olympics, Athletes and Musicians alike must have a good understanding of the theoretical concepts in preparing for their craft. Determination to accomplish our goals begins with knowledge. Knowing and understanding the fundamentals is the key to successful learning. Through sheer determination our goals can be achieved. Participating in the Music Olympics begins with a Goal to become an Olympic Musical Athlete. Focus on accomplishing your Goal with DETERMINATION - and take action towards completing that goal every day of the Winter (Musical) Olympics. How many FLASHCARDS can you name in 2 minutes? Chart your progress. Try to beat your best time. What is your goal: 10 Flashcards? 15? 20? How many THEORY PAGES can you complete every day? What is your goal: 1 page? 2 pages? 3 pages? How many APP MINUTES can you rack up every day? What is your goal? Can you set your timer and play the UMT Basic App for 5 minutes every day? 6 minutes? 7 minutes? Remember, an Olympic Musical Athlete practices every day. Set Goals for each level of your achievements: in performance, examinations and composition (short term and long term). What can we do to help students stay focused on their goals? Keep a “workout” journal: Goal setting without accountability results in good intentions. Once you have outlined your goals, set up a 4 – 6 week program in 2 week blocks. Test every 4 - 6 weeks, keeping track of your improvements. Celebrate your accomplishments in music theory, technique and performance. Get started on the right program today and you will be one step closer to that personal best, that first time performance, or just the feeling of being knowledgeable and being in the BEST musical shape of YOUR life! How do you compete in the Music Olympics Challenge? You set a goal for your personal best and "challenge yourself" to not only reach your goal but EXCEED your goal. Download the "Olympics Challenge - Music Theory App" Medal Chart. Training Camp is in full swing. First day of the Olympics Challenge Event is Saturday February 8. The number of minutes played. The number of Flashcards identified correctly in that time limit. 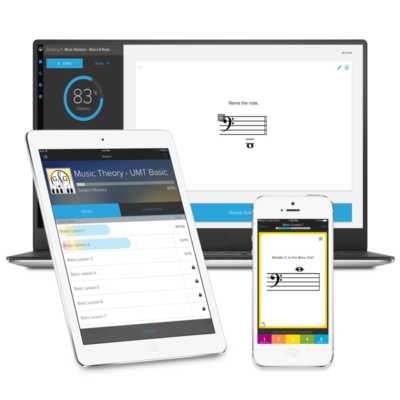 Take the "Olympics Challenge - Music Theory App" - Get the Music Theory App and START TRAINING. Desire, Discipline and Determination! 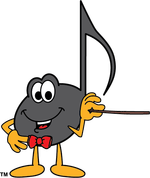 Become a member of the Music Olympics Theory Team Today! P.S. Join the conversation - Enter your Olympics Challenge Goals in the comments below. US vs Canada anyone?